Home See All My Doctor Says I’m Disabled. Do I need an Attorney? Chances are that if you have made the decision to apply for disability, you have talked to your doctor first about whether you qualify for disability. If your doctor has said that you’re disabled, you may not feel the need to hire an attorney because your doctor’s word should be good enough, right? Wrong. SSA instituted a new rule this year which states that your treating doctor’s opinion should not automatically be given deference over opinions issued by other doctors, including SSA’s evaluating doctors. What this means is that it is now harder for disability claimants to win, even when they have a doctor’s opinion that says they are disabled. For example, let’s say that your doctor says your disabled and you can’t lift more than 5 pounds, but SSA’s doctor, who evaluated you one time, in an appointment that took half the time of your usual doctor’s visit, says that you can be on your feet all day and lift up to 50 pounds. Even though SSA’s doctor has only seen you one time, that doctor’s opinion could be accepted over the opinion of your doctor as long as SSA feels that their evaluator’s opinion is more consistent with and supported by your treatment notes. Maybe you’re thinking that surely SSA’s doctor wouldn’t say that you can lift 50 pounds. Maybe you have had back surgery before or perhaps you have fibromyalgia and there’s simply no way that you can lift 50 lbs. Unfortunately, simply having a diagnosis such as lumbar stenosis, or arthritis, or fibromyalgia is not necessarily sufficient to the doctors that work for SSA. A client who is a recovering cancer survivor had an opinion from the client’s doctor that the client could not work due to the after effects of chemotherapy which included dysfunction in an upper extremity. Doctors hired by SSA stated that the client could lift up to 20 pounds occasionally and 10 pounds frequently despite difficulty using the client’s dominant upper extremity. A client has a condition which causes severe swelling. The client’s doctor stated that the client must elevate the lower extremities while working. Such a restriction would keep the client from being able to work in any job, including a sit-down type job. A doctor hired by SSA found that the client did not need to elevate the legs and could work a sit-down job. In both of these cases, judges that work for SSA decided to accept the opinion of a doctor hired by SSA over the opinions of the client’s doctor. In both cases, Black and Jones has continued to fight for these clients and has filed appeals for them. One of the clients is pending approval for benefits after Black and Jones won an appeal and represented the client before a judge at the hearing on remand. 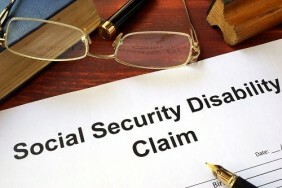 It is now more important than ever that a disability claimant retain a law firm that has attorneys who focus their practice in disability benefits and can cross examine SSA’s medical experts and poke holes in the opinions of SSA’s doctors. Simply having the word of your doctor that you are disabled is not enough. In the event that SSA does not accept your doctor’s opinion, an attorney can also help you navigate the appeals process and continue to fight on your behalf. Black and Jones offers free intakes to disability claimants and there is no fee charged for our representation unless you win. We would be happy to meet with you to discuss ways to make it harder for SSA to reject your doctor’s opinion.